The Big Boss Rapid Wave Oven is an innovative cooking system that fully roasts, broils, or bakes food up to three times faster than conventional ovens. This energy-efficient cooker harnesses halogen heat, convection, and infrared technologies to leave foods moist on the inside and crisp on the outside--without using cooking fats or oils. 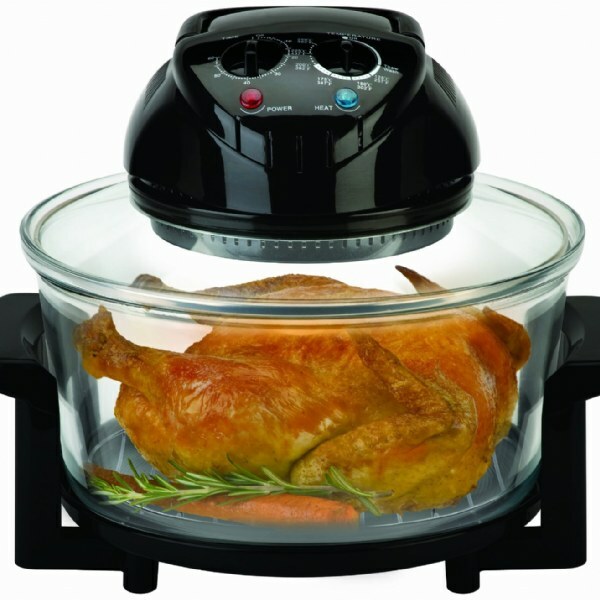 The Rapid Wave oven features simple controls, a see-through cooking bowl, removable trays, and a tightly sealing lid that locks in heat and moisture.